Largely missing in Oakland’s discussions about Common Enrollment is a data-driven assessment of the state of school choice as it stands. The recently released Strategic Regional Analysis offers an opportunity to examine how trends in enrollment and choice reflect structural inequities that need to be addressed. Families in East and West Oakland are four and six times, respectively, more likely to not participate in the district enrollment process than families in the Northwest for grade 9. The first, and most obvious, potential cause for this difference is the resource disparity between regions. The Northwest is generally much more affluent than the East and West. This matters because Oakland Unified School District’s enrollment system is not easy to access. 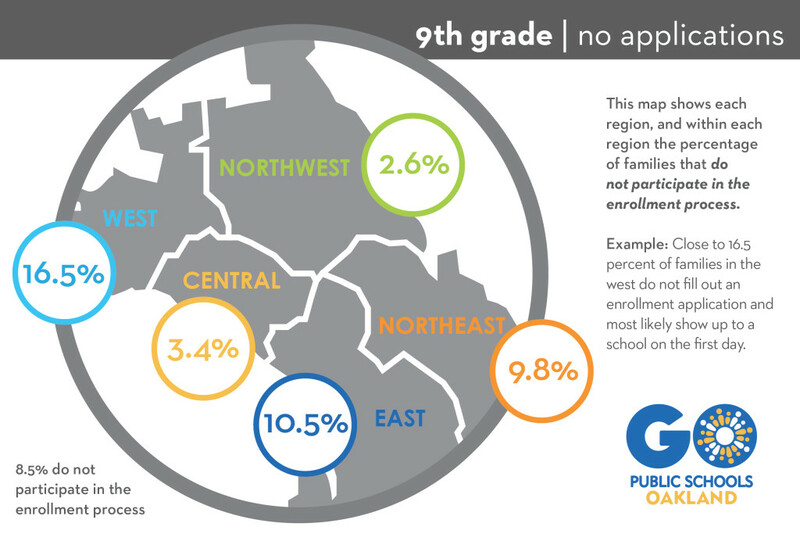 This graphic shows the percentage of families in each of Oakland’s five regions that do not participate in OUSD’s enrollment process for ninth graders. In order to enter your student into the school choice lottery, you must submit a paper application–in person–to the Student Assignment Center. For families with flexible work schedules and access to transportation, this may not be a significant hurdle. On the other hand, for families with limited income, inflexible work schedules, or who are reliant on public transportation, submitting a paper application could be a significant obstacle. In 2016, there is no reason to maintain a paper-based system that excludes the highest-need families. In the Northwest, 93% of families’ first choice school was in the region where they live – compared to 36% for families in the East and 8% for families in the West. The distribution of these choices reflect the distribution of high-performing district-run schools. To get to high-performing, district-run schools, students in West and East Oakland have to commute, often lengthy distances. Families in West and East Oakland on average travel 53% and 71% farther than families in the Northwest to get to school. For families who don’t have the resources or ability to make a lengthy commute every day, there is little choice. Often, their only option for a district-run school is one with single-digit proficiency rates. There is no real “choice” without transportation. 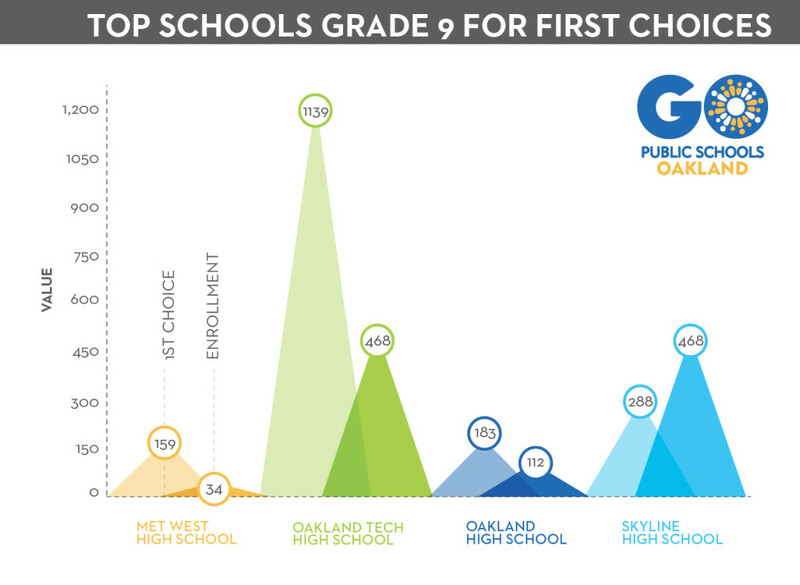 Oakland Tech receives 180% more first choice applications than the next three most chosen high schools combined. It receives 234% more applications than it has seats. There simply aren’t enough quality district-run middle and high schools. There is not a single high school in West Oakland with an overall SBAC proficiency in the double digits. In East Oakland, the only three schools serving grades 9-12 with double-digit proficiency receive between 136-227% more applications than they have seats. Unfortunately, families in West and East Oakland that are willing and/or able to send their students outside the region for school still have to contend with a highly-competitive district-choice lottery. Fortunately, the enrollment system is an obstacle we can have an immediate impact on. When we talk about “school choice”, let’s be specific. Who has the ability to practice choice and what are their options? There is no question that the current enrollment system needs a serious overhaul. Whatever enrollment system replaces it must lower the barrier to quality schools for Oakland’s most-vulnerable communities. The most immediate way of doing this is to make the enrollment system easier to access by moving it online or by opening enrollment centers throughout the city. However, being able to “choose” a quality school is meaningless if you don’t have the resources to commute to the school, which is why transportation is an essential consideration in the conversation. East and West Oakland families can not afford to wait for OUSD to fix the transportation problem. 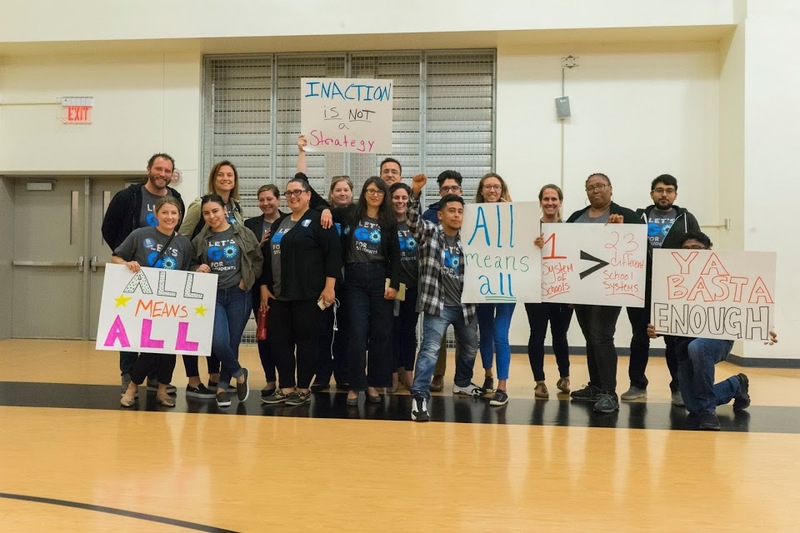 So until the district provides quality middle and high schools in every region of Oakland, it looks like an equitable enrollment system will make it possible for high-needs families to access quality charter schools in their region.